Die Casting involves melting metals at high temperatures and using molds to then shape the molten metal into die cast new parts such as zinc die casting. Trident Components utilizes specialized die casting equipment and years of experience to offer quality products at economical prices. 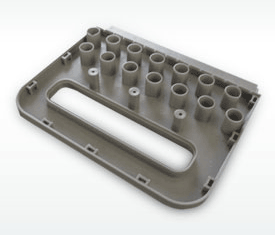 Plastic Molding Services are a rapidly advancing technological field, and Trident Components offers all the flexibility, improved cost, and performance attributes that plastic molding provides. The result is enhanced functionality, aesthetics and ease of assembly. Trident Components has the equipment and expertise to produce die cast parts with exclusive die casting materials and machinery. We also specialize in sheet metal stamping, plastic molding and metal casting to create any component needed for unique applications. 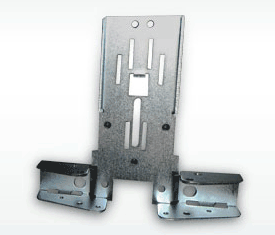 Our sheet metal stamping capabilities include flat stamping, think metal stamping, multislide stamping and progressive stamping to meet a variety of needs. Materials utilized in our sheet metal stamping processes include aluminum, carbon steel and iron among many others. Trident's die stamping services serve industries including automotive, electronics and more while offering a wide range of aluminum and zinc casting materials. 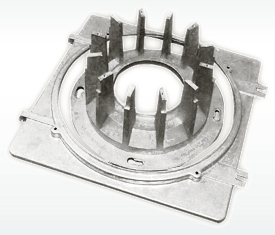 Metal casting, metal molding and plastic molding processes are also provided. With 17 years of manufacturing and engineering components, Trident Components is an industry leader in casting and molding services. Our facilities and warehouse total 315,000 sq feet that houses casting machinery, assembly, design and engineering capabilities. 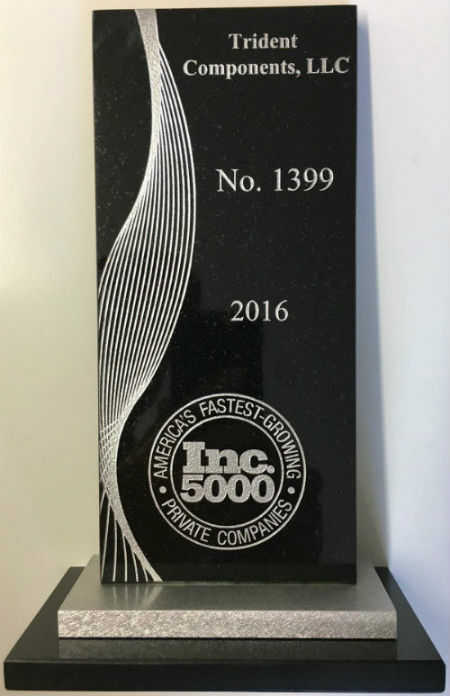 Trident Components is proud to have been ranked #1399 in INC 5000's fastest growing companies and #21 for Manufacturing companies for 2016.